In previous versions of MacOS, media keys would control whatever audio- or video-specific app was most recently foregrounded. If you launched iTunes, say, and then played some songs in the background, they would control iTunes; if you switched to Spotify and then put that in the background, the keys would automatically control Spotify instead. The keys would also work with QuickTime, VLC, and other media apps, but they never controlled playback in web apps like Netflix or YouTube, and that probably irritated some people very much. In High Sierra, Apple has resolved this — web apps that play media now get the same priority as native apps. And that’s fine and well. The problem is that there’s a bug where media keys simply stop working altogether. I’ve seen all sorts of tips: quitting Chrome might help, quitting Slack might help because it’s effectively a Chrome browser, quitting Safari might help, and making sure no tabs are open with embedded media. But these tips are ridiculous, and if iTunes or Spotify are presently playing audio when I press a key, it’s a no-brainer what I’m trying to control. I’ve dumped the Console output on Pastebin for those who are curious. Anyway, I got fed up with this tonight so I started poking around for a solution and stumbled across a tiny menu bar utility by Milan Toth. It doesn’t support the Touch Bar and it seems to only work for iTunes and Spotify, but this is pretty much perfect for my needs. One small worry is that it is unsigned, so High Sierra throws a hissy fit if you try to run it. Toth has open-sourced the app so if you’re worried about it, you can review the code. You can also easily compile and sign it yourself, which is what I did for my copy. I’m thrilled that my media keys now behave as I expect them to, but I’m once again dismayed that there’s yet another problem with an input mechanism for MacOS. According to Stephen Hackett, this command will wipe recorded fingerprints. This isn’t a complicated command, but it does feel inelegant. You know how iOS has a button to “erase all content and settings” that you’re supposed to tap before you sell or exchange your iPhone? I feel like MacOS could use one of those, too: it would be great if you could boot into Recovery mode and then click one button to prepare your Mac for sale. It could erase Touch Bar data, remove encryption keys, and do its best to wipe data and make it unrecoverable. It’s a little thing, but the little things matter. In 1908, there was no sparsely decorated webpage with a blinking cursor silently begging to answer every stupid question that had ever decided to staycation in your brain. So when New York Times reader F.S. Shaw wanted to know the know the heights of the Eiffel Tower and the Singer Building in order to settle a bet, his best option was sending a letter to the newspaper. When fellow subscriber David Levy was curious about the population of Salt Lake City, he did the same, as did the person who just wanted to know how Benedict Arnold’s descendants were doing. Eventually, the answers appeared in a column in the fashion and society section, forbear to the Sunday Styles, next to articles about the Long Branch dog show, the fine weather at Bar Harbor, and diatribes against the dearth of small hats this season. It was called “Queries from the Curious and Answers to Them.” It was mail-order Google for the exceptionally patient. This is such a great story. As Fuller points out, there are still queries that aren’t well-suited to algorithmically-returned results. This seems to be a small obsession in the tech industry — Biz Stone’s ill-fated Jelly app was an experiment in crowd-sourced answers to questions, like Yahoo Answers without the Yahoo-ness. Those with a large-enough Twitter audience can also use that platform to answer questions in a timely manner. But none of these options are a match for having an expert research a specific question, particularly when the asker’s memory is just fuzzy enough for their question to be just too unsearchable. Anyway, fantastic article. You should read it. Dan Luu tested a bunch of popular keyboard models and recorded their latency. Something that might surprise you: Apple’s Magic Keyboard, when connected over USB, had the fastest response time — albeit imperceptibly so in actual usage. That goes to show that Apple can build great keyboards. They have, repeatedly. Apple’s trackpads are also widely considered to be the best in the industry. These products are fantastic from a technical perspective, an ergonomics perspective, and a longevity perspective. Their mice haven’t been praised to nearly the same extent, but I still think the Magic Mouse — at least — is a great product. The latest batch of keyboards and the software that interprets input devices should be considered an anomalies, but they are worrying ones. But the most intriguing feature of the Pixel Buds is the integrated Google Translate feature. Demoed on stage at Google’s event today, this feature lets two Pixel Bud wearers chat in their native languages by translating conversations in real time. In the demo, a native English speaker and a native Swedish speaker had a conversation with each other, both using their native languages. Google Translate translated the languages for each user. There was barely any lag time in between the speaker saying a phrase and the Buds’ hearing those words and translating them into the appropriate language. Watch Google’s demo of this feature and tell me that it doesn’t look like the future. It’s limited — both parties must be using Pixel Buds and, according to Nilay Patel, this feature only works when paired to the Google Pixel smartphone, so the likelihood that you’ll meet someone by chance who can use this feature is pretty remote — but even so, it’s impressive if this works as well in the real world as it does in Google’s demo. Update: The Google Translate app seems to work even better than the Pixel Buds, and doesn’t require both parties to have a Pixel-specific hardware combination. Johnston’s keyboard isn’t an outlier: various people and organizations she spoke with have indicated that dust under the keys — in particular, under the spacebar — is a common affliction of the latest generation of Apple laptop keyboards. Apple provides instructions on how to remove dust, but they are ridiculous: you must hold your laptop in one hand at a recommended 75° angle and spray the keyboard with compressed air while rotating your computer in midair. I do not baby my electronics, but I want them to last. These instructions seem like a fantastic way to shatter the display or destroy the case. After a couple days of light usage, the problem got worse. One of the tiny arms that the key cap clips onto is broken. My nearly $2,000 laptop that I bought less than a year ago is now missing a key, as I shared with our Connected audience this weekend. This is, frankly, inexcusable. I was already hesitating on upgrading from my five-year-old MacBook Air because this generation of MacBook Pros still seems like a work-in-progress; now, I will absolutely be waiting another generation to see if this problem gets fixed. By the way, I know there will be some people suggesting that plenty of generations of Apple products have had their teething issues. I don’t deny that; the MacBook Pro was recalled for graphics issues, the first-generation iPod Nano scratched like crazy and the battery could overheat, and the unibody plastic MacBook’s bottom case peeled off. But input devices should always — and I mean always — work, in hardware and in software. If a speck of dust affects the functionality of the most-used key because of an attribute inherent to the design of the keyboard, that’s a poor choice of keyboard design, especially for a portable computer. On a related note, too, there’s an existing bug in recent versions of MacOS where key and cursor inputs are sometimes delayed. I notice the keyboard bug especially frequently in Messages when I haven’t switched to it for a while, and I experience delayed trackpad input often in Safari and in Photos. But it seems to persist throughout the system, and it is infuriating. I’m glad that apps on my Mac crash less frequently but I would genuinely rather have Safari crash on me as much as it used to than I would like to keep seeing problems with input mechanisms. I can choose a different web browser; I can’t choose a different way for MacOS to process my keystrokes. Problems like these should not escape Cupertino. It certainly sounds like Krim was, behind the scenes, financially incentivizing reviewers to push the Casper mattress. You’ll want to read Zax’s full article for the kicker to the Sleepopolis saga. It’s atrocious. Last week, I read an interesting article about how smart hardware can allow users to browse anonymously and thus foil snooping from governments. I found it on what looked like a nifty new technology site called SugarString. Oddly enough, while the article mentioned the need for privacy for folks like Chinese dissidents, it didn’t address the fact that Americans might want the same kind of protection. SugarString writers were apparently prohibited from writing stories about net neutrality or the NSA’s spying activity — remember, this was in 2014, when both of those topics were especially concerning. So if you were going to SugarString for your tech news, you were highly misinformed. Likewise, if you were to visit Sleepopolis — owned by Casper — do you think you’d be getting a fair review of mattress buying options? The reason I’ve been puzzled all day about this is because I’m nearly certain that there was a similar marketing-spun publication that was created by — I think — a mining or oil and gas company. I don’t think I’m making this up or misremembering it, so if you have any idea what I might be thinking about, let me know. There’s a four-way handshake that establishes a key for securing traffic, but the third step allows the key to be resent multiple times, which allows encryption to be undermined, according to a researcher briefed on the vulnerability. The researchers, the United States Computer Emergency Readiness Team and KU Leuven, report this breach, called KRACK (Key Reinstallation Attacks) could allow connection hijacking and malicious code injection. Remember, there is a limited amount of physical security already on offer by WiFi: an attack needs to be in proximity. So, you’re not suddenly vulnerable to everyone on the internet. It’s very weak protection, but this is important when reviewing your threat level. Additionally, it’s likely that you don’t have too many protocols relying on WPA2 security. Every time you access an https site – like this one – your browser is negotiating a separate layer of encryption. Accessing secure websites over WiFi is still totally safe. Hopefully – but there is no guarantee – you don’t have much information going over your network that requires the encryption WPA2 provides. Apple’s iOS devices (and Windows machines) are not as vulnerable as Macs or devices running Linux or Android because the vulnerability relies on a flaw that allows what’s supposed to be a single-use encryption key to be resent and reused more than once, something the iOS operating system does not allow, but there’s still a partial vulnerability. Apple’s latest round of betas, released to developers today, include a patch. Here’s the thing about this: it’s clearly a bad bug, but it is both generally fixable and the fear is — at least to some extent — driven by the researcher’s PR campaign around it. Much like Heartbleed, KRACK has a cool name and a logo. This bug isn’t receiving anywhere near the same attention as KRACK, despite RSA being used to generate some — not all — keys for PGP and GitHub, and potentially all keys for Microsoft BitLocker and identity cards for Estonia and Slovakia. I get why security researchers are dialling up the campaigns behind major vulnerabilities. CVE numbers aren’t interesting or explanatory, and the explanations that are attached are esoteric and precise, but not very helpful for less-technical readers. A catchy name gives a vulnerability — or, in this case, a set of vulnerabilities — an identity, helps educate consumers about the risks of having unpatched software, and gives researchers an opportunity to take public credit for their work. But, I think the histrionics that increasingly come with these vulnerabilities somewhat cheapens their effect, and potentially allows other very serious exploits to escape public attention. While Facebook’s training document lists any call for segregation as an unacceptable attack, subsets of protected groups do not receive the same protection, according to the document. While race is a protected category, social class is not, so attacks targeting “poor black people” would not seem to qualify as hate speech under those rules, Ms. Citron said. That is because including social class in the attack negates the protection granted based on race. As of right now, 93% of over 60,000 Times readers think that statement constitutes hate speech, and I think most reasonable people would agree on that: the historical connotations of forcing black people to sit at the back of a bus far overwhelm the income status of the subject. Surely there’s enough context within that single phrase to establish that it’s driven by race, right? But this is the thing: tech companies are generally run by people who are not subjected to abuse or targeted hate speech on their platforms. It would be prudent of them to take seriously the concerns raised by affected users. But this is also another reason why executive teams need to comprise more diverse perspectives because, as far more eloquent writers have pointed out, not doing so creates a huge blind spot. Tech companies need to mature to a point where they recognize the responsibility they have to the billions of people on this planet, because that’s the scale they operate at now. Scott-Railton published this back in June, and Freia Lobo of Mashable noted at the time that this issue isn’t isolated to United Airlines: Delta’s ticketing system has the same problem. But I’m linking to it today because Delta recently updated their app to remove the check-in process and issue boarding passes automatically. That’s terrific. Unfortunately, there’s no indication that Delta or any other airline has addressed the issue with hyphenated names — I found tweets from as recently as August with the same issue, and complaints about similar character validation problems from September. These kinds of problems are almost certainly due to legacy or outdated equipment. There’s probably some key part of these airlines’ ticketing infrastructure that will simply never accept anything other than A–Z characters — at least, not without replacing it. But with the huge number of people out there who do have hyphens, apostrophes, or diacritical marks in their names, surely a modernization of their character palette should be a higher priority. At the very least, this shouldn’t be a passenger problem a decade after it Schneier pointed it out. If a name needs to have characters dropped for compatibility reasons, it shouldn’t trigger a security warning or require additional scrutiny for passengers. Several days passed without me noticing anything wrong. In the meantime, as it turns out, the Mini was behaving very differently from all the other Homes and Echos in my home – it was waking up thousands of times a day, recording, then sending those recordings to Google. All of this was done quietly, with only the four lights on the unit I wasn’t looking at flashing on and then off. I’m not paranoid, but it’s events like these that shake my confidence in the security of ambient audio-based assistant devices. Google’s a big company, and something like this really should have been caught far earlier; bugs like these — and, for what it’s worth, the malfunctioning LTE bug that affected the Apple Watch — suggest that far more thorough quality assurance processes are necessary. While it would certainly have been much better if the issue never existed in the first place, the speed and finality of Google’s response to the controversy certainly deserve praise from the technology industry and its customers. Why, exactly, should we praise Google for this? A fast reaction is the bare minimum response anyone should expect for a device that’s unintentionally always recording and uploading audio in the background. I don’t see anything particularly praiseworthy about not including a bug that enables such an egregious privacy violation on a shipping device. Microsoft already announced last year that they would stop making phones, and I expected this announcement would follow sooner than it actually did. Nevertheless, it’s unsurprising, and made worse by a cringeworthy funereal procession that Microsoft held for shipping Windows Phone 7 — their first try at an iPhone OS competitor — three and a half years after Apple first demonstrated the iPhone. An elaborate parade, replete with hearses and black capes, was organized last week to denote the passing of the BlackBerry and iPhone into the land of unwanted gadgets. We’d say this is done in poor taste, but we don’t enjoy stating the obvious. We will, however, enjoy the fallout from this poorly judged stunt. They also danced to Michael Jackson’s “Thriller” at the same parade. To be fair to them, BlackBerry really has all but vanished from everyone’s pockets, but its replacements run iOS and Android, not Windows Mobile. The screen recording capability comes from what’s called an “entitlement” — a bit of code that app developers can use for anything from setting up push notifications to interacting with Apple systems like iCloud or Apple Pay. This particular entitlement, however, was intended to improve memory management for the Apple Watch. The entitlement isn’t common and would require Apple’s explicit permission to use, the researchers explained. Will Strafach, a security researcher and CEO of Sudo Security Group, said he couldn’t find any other apps with the entitlement live on the App Store. The Gizmodo story acknowledges later that this entitlement could have been sandboxed to function only within Uber’s app — though Apple wouldn’t say one way or another — and Uber said that it was only live for a single version of the app to make the Apple Watch app run more smoothly. Even so, given Uber’s outrageous history of violations of privacy and basic decency, it seems quite risky to me for Apple to have granted Uber’s app this entitlement. I’m sure precautions were taken, but I cannot imagine any other developer having this kind of influence, particularly an indie developer or one with such a poor track record. Is there a word for when you feel embarrassed about your naïveté? Because I feel dumb as hell. I assumed that when [Olivia Nuzzi] and her down-the-middle cohorts wrote things like this glowing profile of Mike Cernovich in New York magazine, they went home and immediately took a hot shower to wash off the stink. I didn’t realize they were just writing about their friends. A very charitable part of me wants to believe that none of the writers now shown to be quite cozy with Steve Bannon and his ilk were aware of the impact of being associated with Breitbart’s brand of conspiracy-tinged journamalism. But I still don’t understand why anyone would want to be associated with them in any way, particularly after the outright discriminatory, racist, sexist, and irrationally caustic articles they’re well-known for. This update includes fixes for the encrypted disk password-as-hint bug as well as the keychain exfiltration bug that was revealed last week. Unfortunately, Apple recommends that those affected by the encrypted disk bug install this security update, then format and restore their drive. This applies mostly to those who think that there’s a chance that their disk password may have been exposed — I don’t set password hints, so this bug didn’t affect me. But if you’re one of the unlucky ones who are affected, you know how you’ll be spending your weekend. I still want to know how a bug like the latter bypassed quality control checks and a multi-month developer beta, though. It’s not confidence-inspiring. This week, Apple released the new macOS High Sierra with the new file system called APFS (Apple File System). It wasn’t long before I encountered issues with this update. Not a simple issue, but a potential vulnerability. The vulnerability? Under certain not-so-uncommon conditions, a drive or container formatted as APFS can show the actual password as the hint. The bug was easy to reproduce on my Mac. Plugging the drive into another Mac also shows the password as the hint. So I’m guessing it’s not actually an APFS flaw but rather that Disk Utility is passing the wrong variable as the hint parameter. Creating a volume via diskutil, the hint, not the pw is shown. Looks like the root cause is Disk Utility storing the password as hint. So, from the looks of it, if you haven’t specified a password hint – or if you haven’t used Disk Utility, you’re probably safe. Disk Utility was made extraordinarily buggy in a rewrite two years ago and we’re still feeling the effects of that decision. That’s a big problem for an app as consequential as Disk Utility. Update: Apple told Rene Ritchie that they’re rolling out a fix for this today. That’s a fast response, but this is a bug that should have been caught far sooner. Why wasn’t it? The speakers on both phones got plenty loud without too much distortion. I’m sure it was a priority to get those speakers in there, but I’m also sure I would rather have smaller bezels. 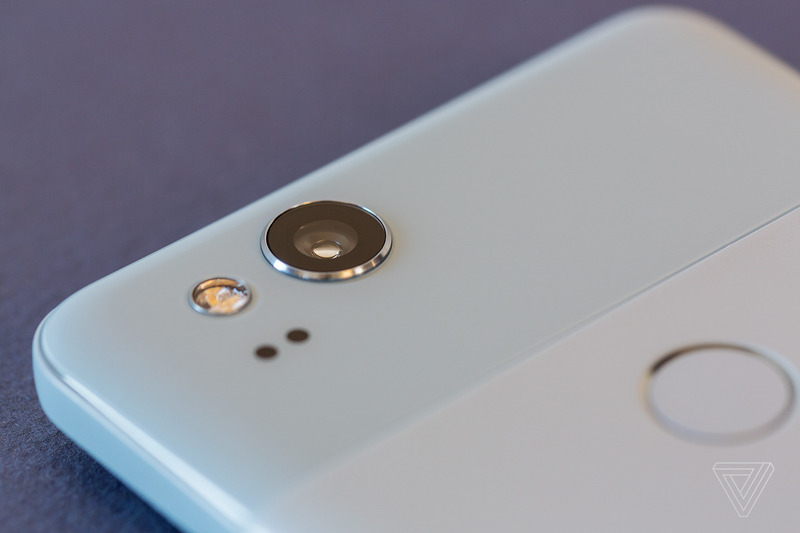 The overall audio story on Pixel 2 is a big deal: it does away with the headphone jack, but it also supports a bunch of new audio codecs over Bluetooth 5. 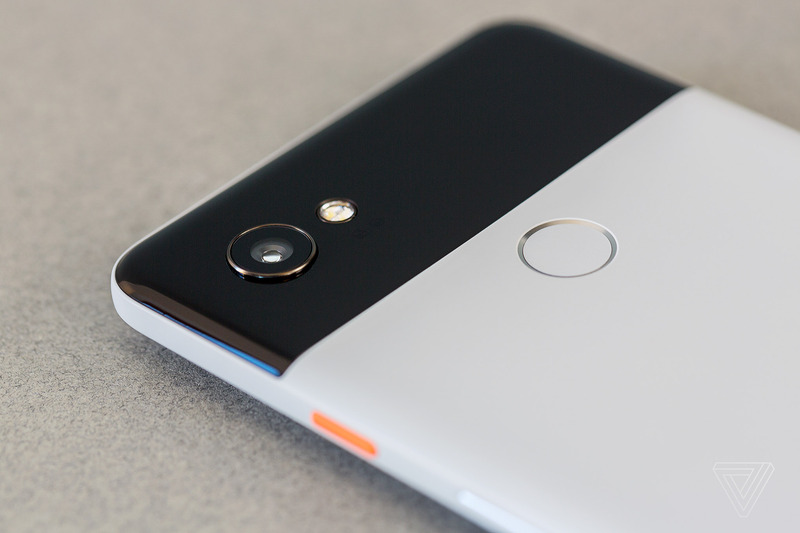 I can also tell you that the Pixel 2 is a thousand percent better at recognizing when I say “OK Google” than last year’s phone. That’s the sole mention of the headphone port in Bohn’s preview. That’s weird, because less than a year ago, Bohn agreed with Nilay Patel’s sentiment that removing the headphone port was “user-hostile”. Even two months ago, Bohn was “going to continue to be a curmudgeon about” the removal of 3.5mm headphone port on today’s smartphones. By the way, both Google and Apple include 3.5mm adaptors in the box. If you want to buy an extra one, Apple will charge you $9 for their Lightning-to-3.5mm adaptor, but Google will charge a whopping $20 for a USB-C-to-3.5mm adaptor. Just throwing that out there. That’s not to say there aren’t impressive design elements to point out. There are no visible antenna lines anywhere on the XL’s aluminum unibody. Even though the 6-inch screen on the XL might not technically count as edge-to-edge, it still fits a much larger screen in a body that’s just a little bigger than last year’s Pixel XL, which had a 5.5-inch screen. On both, you’ll see that there is no camera bump beyond a slight raised ridge around the lens. But there is a camera bump, right? Either there is or there isn’t, and the photo in this article indicates that it’s virtually the same treatment as that on my iPhone 6S — a treatment that Bohn previously described as a “camera bump” and “aesthetically aggravating”. There is a camera bump. I get it: nobody likes camera bumps. Depending on who you ask, they’re either a symptom of an obsession with smartphone thinness, or a tolerable — if not ideal — compromise. But Bohn can’t make the bump go away by denying its existence, and I’m not sure what to make of his attempts to do so.